A very common phrase these days is “I know.” Many people say that they know. The crazy thing is that more often than not, they never get started. 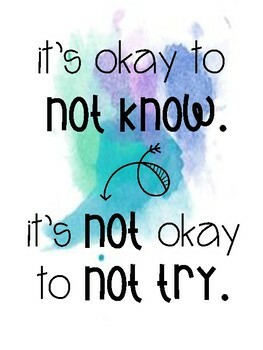 If you want to try something new, give it a shot. If you don’t try, you will never know if it would have worked.